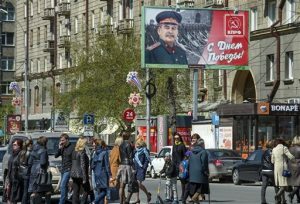 Moscow has been abuzz in “Victory Day” fever for weeks. Toddlers, puppies, and tanks are draped in the ubiquitous orange and black striped St. George Ribbon, a symbol previously associated with patriotic veterans and war heroes of World War II, referred to in Russia as the Great Patriotic War. The ribbon has recently morphed into a symbol of Russian patriotism and nationalism expressed in a highly militaristic show of might, culminating in the May 9th military parade and related festivities. While Russia is raging with “Victory Day” fever, and, incidentally, sponsoring celebrations of Russia’s defeat over fascism in some 70 countries this week, many inside Russia also see not a small amount of hypocrisy and exploitation. Not only is the Kremlin using the symbol of the horrific suffering and sacrifices of tens of millions of Soviet citizens to justify and even spread new aggression into Europe, but it distorts its own history while reverting to a repressive climate against its own citizens with unmistakable signs of fascism. Last week was the anniversary of the Bolotnaya Square protests in Moscow. On May 6, 2012, the eve of Putin’s third inauguration, hundreds of thousands of Russians, from all over the political spectrum, took to the streets of central Moscow to peacefully demand a fair election after learning of widespread election fraud. The Kremlin responded ruthlessly, with riot police, batons and mass detentions. Putin is rumored to have told his inner circle later that evening: “They ruined my special day. Now I’m going to ruin their lives.” These words were apparently a call to action to authorities, because the first arrests began shortly thereafter. In the days and years following the Bolotnaya protests, dozens of innocent people have been subjected to interrogations, investigations, prison and much more. Peaceful protesters who had participated in the largest demonstrations since the fall of the Soviet Union in a Russia whose Constitution specifically guarantees freedom of speech and assembly, suddenly found themselves criminal defendants in the Bolotnaya case. They displayed remarkable dignity and courage, charged with assault and rioting when they themselves were the ones being brutally beaten by riot police. Some unsuccessfully tried to sue the police for brutality. 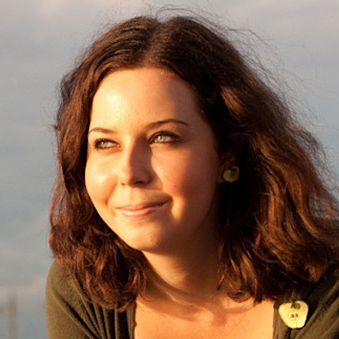 Bolotnaya was a striking example of the personal courage of so many of Russia’s opposition activists. The Start of the Jailing of Russia’s Opposition. Bolotnaya was also a striking example of the growing totalitarian climate in Russia under Vladimir Putin. 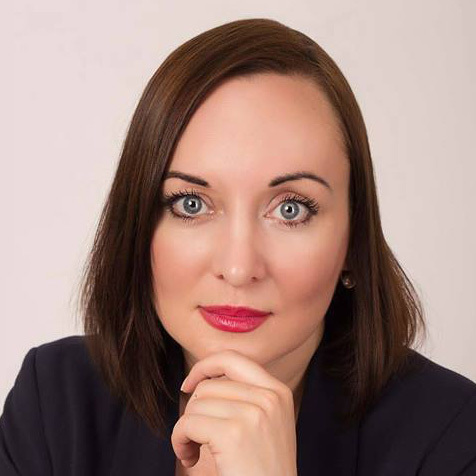 When Moscow courts started to hand down multi-year sentences to protesters, it became clear that the Bolotnaya trials were a part of a wider crackdown on Russia’s opposition. A series of repressive laws together with media campaigns against leading opposition figures calling them “traitors” to Russia had sown fear among many. Whether people disagreed with particular government policies or they just wanted their government to abide by its own Constitution, the feeling among Russians was that dissenters were going to be “broken” so that anyone even thinking of criticizing the Kremlin or Putin would get the message loud and clear: Putin is here to stay, and anyone who doesn’t agree with him can and will be silenced – one way or another. But it was in neighboring Ukraine the following November where protests grabbed the headlines and took on an ominous meaning for the Kremlin. When Ukraine’s protest movement on Maidan Square in Kyiv became the Euromaidan Revolution of Dignity and successfully ousted a corrupt president Yanukovych, the Kremlin reacted swiftly and aggressively, unleashing a propaganda disinformation campaign to discredit the new Ukraine as a fascist Western coup. Again Putin had to show who’s boss, this time to the new Ukrainian leadership in Kyiv. Thus began Russia’s assault on Ukraine, annexing Crimea and staging an insurgency in the border region of Donbas. Though Crimea’s seizure was touted as bloodless, Ukrainians and the indigenous Crimean Tatar populations have suffered under Russian rule, with many missing, jailed and killed. And the war in Donbas, continuing to this day, has killed over 10,000 people, injured and displaced millions more. Seeing the Writing on the Wall. As Russian troops were carrying out their war in and on Ukraine, the Kremlin seemed to have concluded that perhaps it hadn’t been tough enough on the opposition. (Some Bolotnaya victims had been amnestied before the Sochi Olympics, for example.) Despite the Bolotnaya trials and convictions, Russians were still organizing protests, and perhaps they would gain momentum from Ukraine’s successes. Hence, we saw the ratcheting up of vicious propaganda against Ukraine and the Maidan protests, and any Russians who supported them. Russian media so bombarded audiences with images of fires and violence and chaos on Maidan, that the very word “Maidan” has become a kind of generic term for violent and bloody upheaval, not protest. Ironically, it was Putin’s lashing out at Ukraine that gave Russia’s opposition even more inspiration for protest. As Russians were feeling the seismic effects of Putin’s foreign policy – international sanctions and crumbling relations with the West – Boris Nemtsov, a prominent opposition leader and a Bolotnaya organizer, helped to rally tens of thousands of Russians after Bolotnaya in anti-war and anti-crisis protests in March, just after Russian troops seized Crimea, and in September of 2014, after a summer of intense fighting that brought hundreds of Russian “volunteer” soldiers back in body bags. And then on the eve of a third mass demonstration, dubbed Russia’s “Spring” (Vesna), prominent opposition leader and protest organizer Boris Nemtsov was assassinated at the foot of the Kremlin walls. 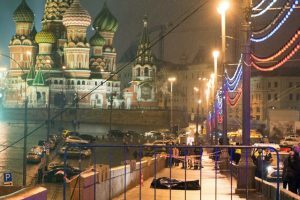 The lifeless corpse of a man who seemed larger than life itself against the backdrop of the moonlit picture-postcard cupolas of Red Square was a stark symbol of the new reality of Russia in Putin’s 15th year as president. The protest movement had been broken. 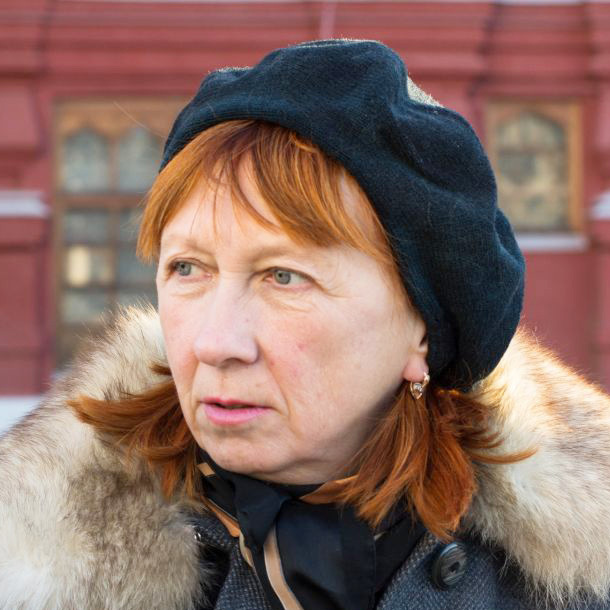 After Nemtsov’s assassination, many opposition activists just left Russia, understandably. For those who made the decision to remain, they have nobly and courageously continued their struggle for a more open society and to free Russia from the current wave of repression and aggression. They try very hard. They protest, even if they have to stand alone and silent, as now required by law. And they get arrested anyway, even when they do obey the law. They try to participate in elections, but as Vladimir Kara-Murza eloquently points out, the process is rigged against them, in region after region, in a variety of ways. Either their signatures are deemed fraudulent, or a candidate gets disqualified on some bizarre grounds, or a leading candidate is filmed in compromising positions in a hotel room, or state TV runs a “documentary” that a leading opposition figure works for a grammatically-challenged CIA. If you think such preposterous means to suppress dissent would be too obvious and so unsuccessful, then you don’t know Putin or Russia. Russia is a security state like no other, and its leader is a former career KGB agent from a country that may have been a failed state, but it was superior in its secret services, where there were no rules and the KGB could do whatever it took to get the job done. Russia is not just a post-Soviet state. It is a post-traumatic Soviet state, as are all the former Soviet states are. But Russia still has one foot firmly in the grave of the Soviet Union, a black earth unjustly enriched by the blood of its dissenters. Instead of trying to climb out Russia’s dark past, Putin has breathed new life into it. Not only are leading figures of the Soviet Union like Stalin and Dzerzhinsky back in vogue, but we see that a militaristic fascism has taken hold as well. 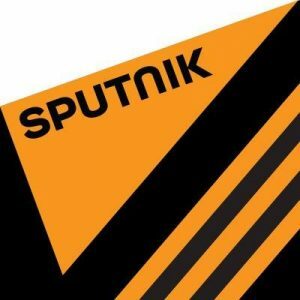 “Victory Day” has become the culmination of Russia’s post-Soviet fever, raging on Russian TV, RT and Sputnik. Russians are now bombarded with propaganda about rampant Russophobia in the West, conspiracies by the CIA about the internet against Russia, and about Ukrainian fascists who must be defeated like Stalin defeated the fascists in his time. And, who else is going to save Russia and Russia’s glorious history from such attacks but Vladimir Putin? Remember that it’s only relatively recently that post-Soviet Russia has had access to non-Kremlin controlled information. There is a natural thirst for information, and all things Western, really, from a society that has been starved of it for generations. So Russians are particularly susceptible to propaganda, both out of deprivation and out of inexperience. Under constant information assault from Kremlin-controlled media, especially from visually powerful, sophisticated and slick TV media, it’s not difficult to understand why so many Russians want to believe in a simple good and evil, black and white world. All Russians are victims of Bolotnaya and its aftermath. The laws have become even more restrictive and the space for public expression has narrowed considerably. In this light, perhaps it’s not really so remarkable that four years later, people are still being arrested in the Bolotnaya matter. Anyone who was on Bolotnaya Square that day on May 6, 2012, goes into high anxiety mode at the sound of early morning noises outside their door. And their fear is well-founded because in Russia Bolotnaya is the case that keeps on giving. Anyone can get that knock on their door and find themselves a criminal defendant and a political victim, altering their lives overnight. 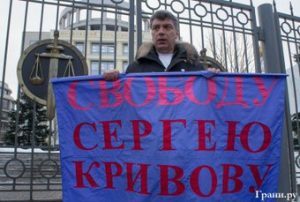 The oldest protester still behind bars is Sergei Krivov. Sergei is 55 years old and serving a 3-year-and-9-month sentence in a penal colony. He has a wife and two minor children at home. Krivov was one of those arrested after the first wave of “May 6 Political Prisoners,” as they have come to be called. He knew perfectly well that he too could become a defendant, but he didn’t run or hide. Quite the opposite. He continued to do what he knew was right. He continued to protest the only way protesters can in Russia today, by standing alone in the bizarrely restricted single-person picket. Krivov held such a single-person picket in front of the Investigative Committee building in Moscow, the Russian organ responsible for launching criminal matters, demanding freedom for those Bolotnaya activists already under arrest. Protesters such as Krivov are like sitting ducks, or rather standing ducks, ripe for picking off by police. That’s how Krivov found himself in the same despicable predicament as the victims about which he was protesting. So as Russia celebrates its “Victory Day” on May 9, a day to remember and commemorate the heroes of the past, let’s remember who today’s heroes are. As Russian society and its militaristic patriotism leaning toward fascism looms over its neighbors, its own citizens are ever squeezed back behind a virtual Iron Curtain of propaganda and repression. Russia had many heroes in World War II. Today’s heroes are those who gathered on Bolotnaya Square four years ago, and those who dare to come back again and again, risking their freedom and their lives. In commemoration of the 4th anniversary of the Bolotnaya protests, the Open Russia Foundation published the list of the names and faces of all 35 political victims –”Freedom Prisoners” as they are called. These are the Russian heroes whose lives have become nightmares after the events of May 6, 2012. Above all else, Open Russia says, readers can help by sending letters so that those still locked away will know that they are not forgotten and that people still support them. Letters can be sent directly to Open Russia who will pass them on the individual prisoners. This link provides further details. Some of the Bolotnaya defendants have already been released. Some have served their time in prison, while others are just beginning their nightmare journey. Nobody knows when this will all end. That was the sentiment by one exasperated man on Bolotnaya Square this week, where people gathered for the anniversary. Independent video journalist Sasha Sotnik, whose important work chronicling Russia’s opposition can be seen on YouTube channel SotnikTV, was there to capture the informal gathering and interview those who showed up to pay their respects and not let Russia’s unsung present-day heroes be forgotten. As you can see from the clip above, people were again arrested. 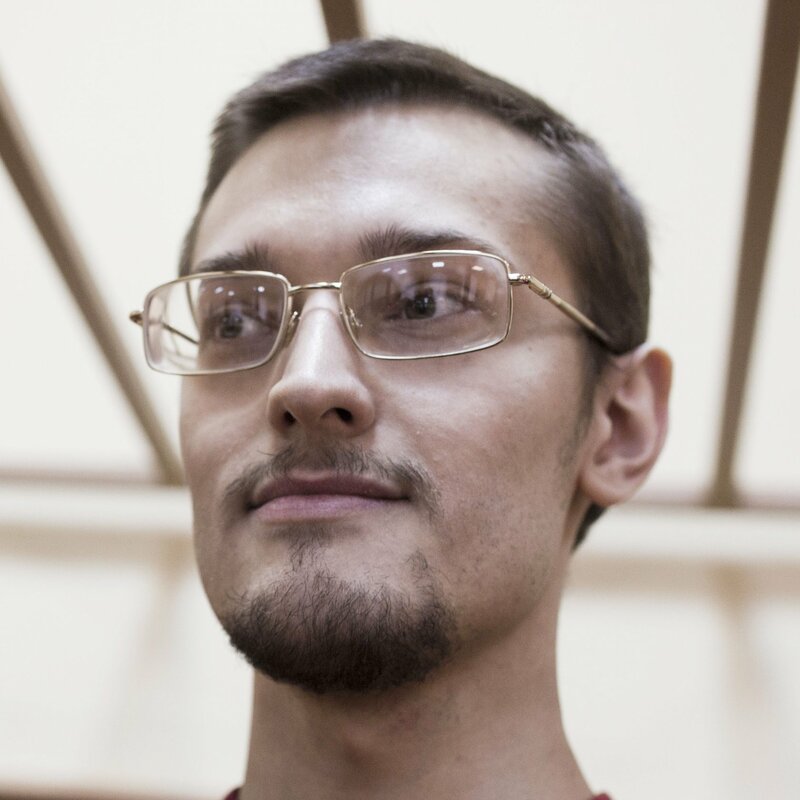 (1) Ivan Nepomnyashchikh was arrested on February 25, 2015 and under house arrest until trial. He was found guilty under Criminal Code 2.212 (“participating in mass riots”) and 1.318 (“use of violence against a representative of authorities”). On December 22, 2015, he was sentenced to 2 years and 6 months of imprisonment. He’s currently in SIZO-2 “Butyrka” in Moscow. 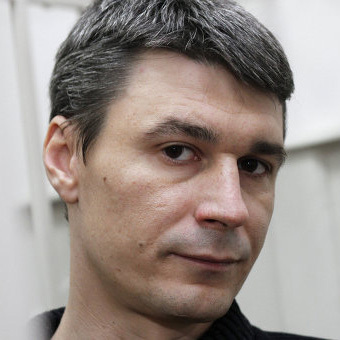 (2) Dmitry Buchenkov was arrested on December 2, 2015. He was charged under Criminal Code 2.212 (“Riots”) 1.318 ( “the use of violence against a government representative”). He is currently in SIZO-5 in Moscow. 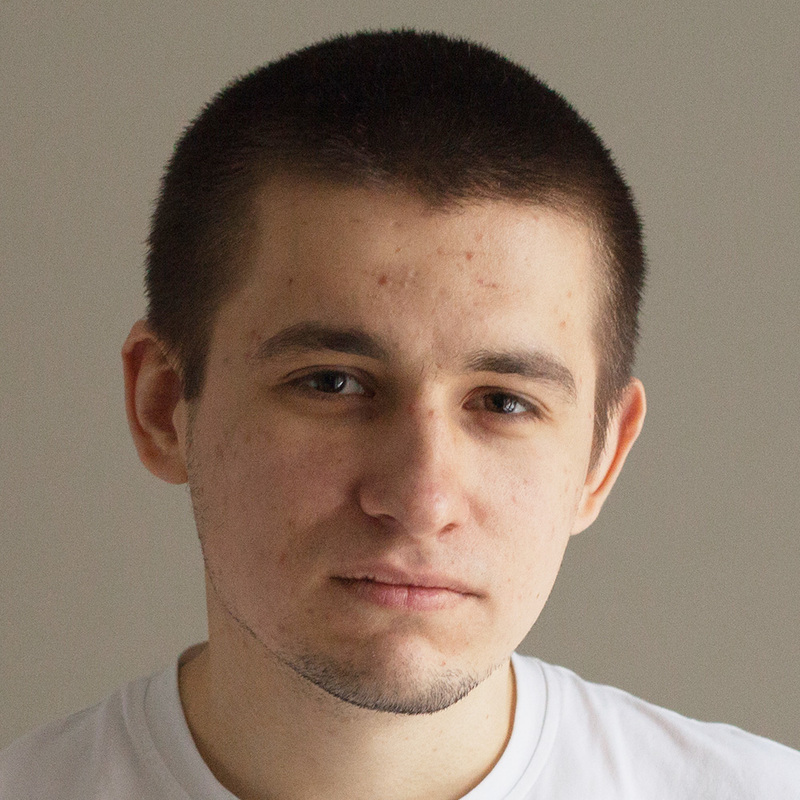 (3) Maksim Panfilov was the most recent to be arrested, just this April. He is charged under Criminal Code 2.212 for mass riots and 1.318 for assaulting government authority. Maksim suffers from Tourette’s Syndrome. He is currently in SIZO-5 in Moscow. 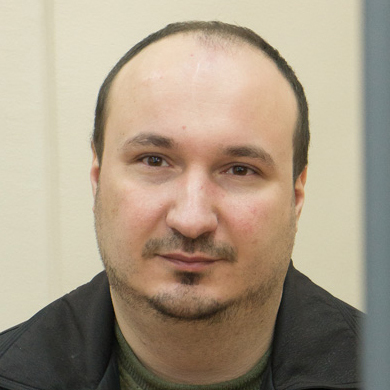 (4) Alex Gaskarov was arrested April 28, 2013. He was charged under 2.212 (“mass riots”) and 1.318 (“the use of violence against a government representative”). On August 18, 2014 he was sentenced to 3 years and 8 months in a penal colony. He is currently in SIZO-6 in Novomoskovsk (Tula region). 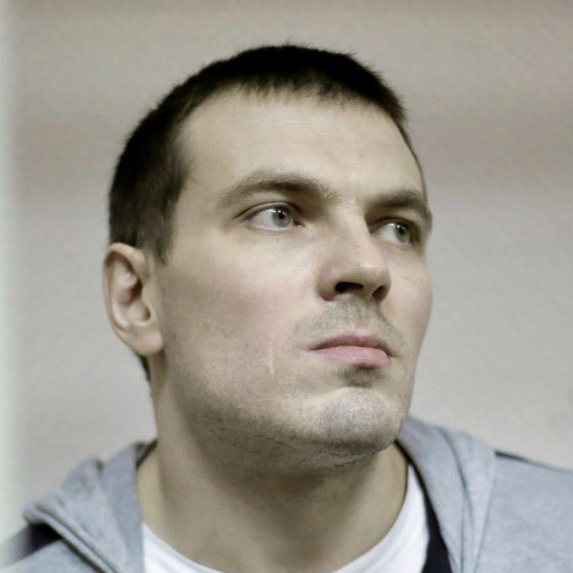 (5) Sergei Udaltsov was placed under house arrest on February 9, 2013. He was charged under Art. 1.212 (“preparing for the organization of mass riots”) of the Criminal Code. On July 24, 2014 he was sentenced to 4 years and 6 months in a penal colony. He is currently imprisoned in Penal Colony-2 in the Tambov region. (6) Leonid Razvozzhayev was kidnapped by security forces in Kyiv on October 19, 2015 and was delivered to Moscow, where he was arrested on October 21, 2015. He was convicted under 1.212 (“preparation for the organization of mass disorders”) of the Criminal Code. On July 24, 2014, he was sentenced to 4 years and 6 months in a penal colony. At the present time he sits in Penal Colony-31 in the Krasnoyarsk Kray. 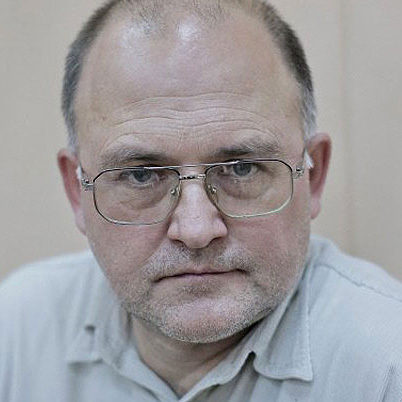 (7) Sergey Krivov was arrested on October 18, 2012. He was charged under 2.212 (“mass riots”) and 1.318 (“the use of violence against a government representative”) of the Criminal Code. On February 24, 2014 he was sentenced to 4 years in a penal colony. An appeals court reduced his sentence by 3 months, to 3 years and 9 months, on June 20, 2014. He is currently imprisoned in Penal Colony-6 in the Bryansk region. 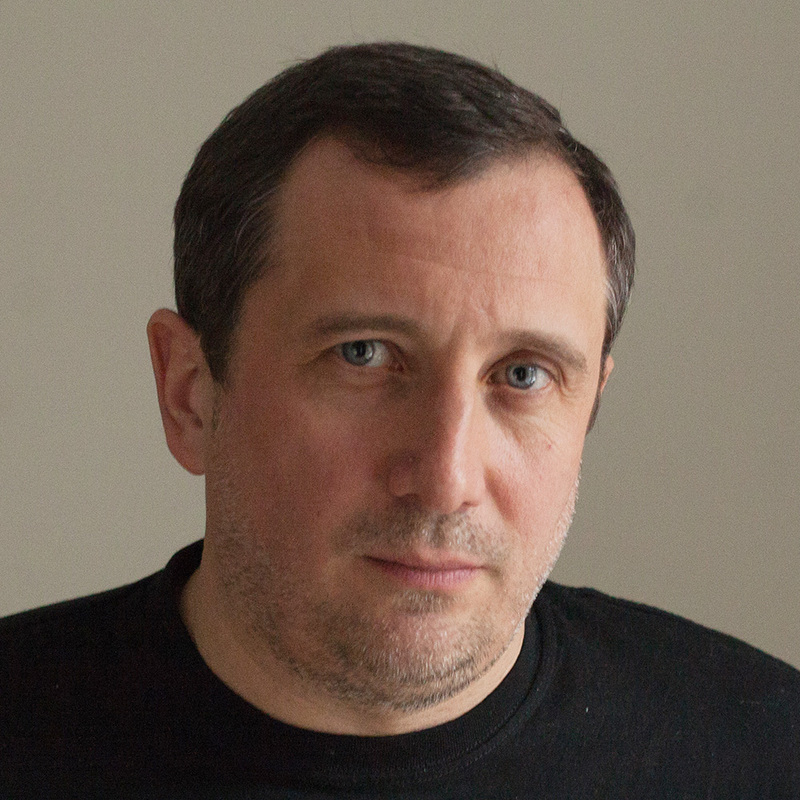 (8) Dmitry Ishevsky was arrested on May 27, 2014. He was charged under 2.212 (“mass riots”) and 1.318 (“the use of violence against a government representative”) of the Criminal Code. On October 9, 2014 he was sentenced to 3 years and 2 months in a penal colony. At the present time he is in Penal Colony-1 in Yaroslavl. 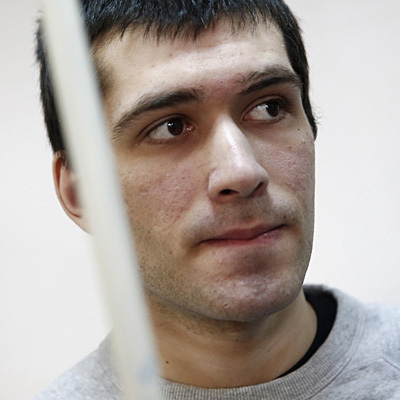 (9) Maxim Luzyanin was arrested on May 28, 2012. He was charged under 2.212 (“mass riots”) and 1.318 (“the use of violence against a government representative”) of the Criminal Code. On November 9, 2012, he was sentenced to 4 years and 6 months. He served his sentence in Penal Colony-6 in Tula and is now on parole. 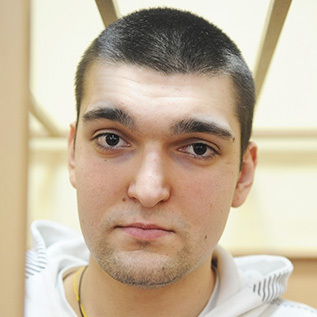 (10) Andrei Barabanov was arrested on May 28, 2012. He was charged under 2.212 (“mass riots”) and 1.318 (“the use of violence against a government representative”) of the Criminal Code. On February 24, 2014 he was sentenced to 3 years and 7 months in prison. He served his sentence in Penal Colony-6 in the Ryazan region and was released on December 25, 2015. 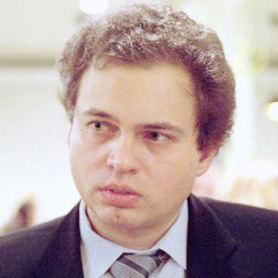 (11) Yaroslav Belousov was arrested on June 9, 2012. He was charged under 2.212 (“mass riots”) and 1.318 (“the use of violence against a government representative”) of the Criminal Code. On February 24, 2014, he was sentenced to 2 years and 4 months in a penal colony. He has a young child. He was released on 8 September 2014. 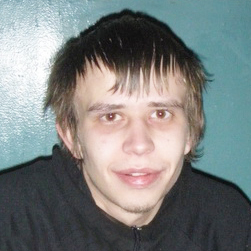 (12) Ilya Gushchin was arrested on February 6, 2013. He was charged under 2.212 (“mass riots”) and 1.318 (“the use of violence against a government representative”) of the Criminal Code. On August 18, 2014, he was sentenced to 2 years and 6 months in a penal colony. He was released on 5 August 2015. (13) Stepan Zimin was arrested on June 8, 2012. He was charged under 2.212 (“mass riots”) and 1.318 (“the use of violence against a government representative”) of the Criminal Code. On February 24, 2014 he was sentenced to 3 years and 6 months in a penal colony. He served his sentence in the Tula region. He was released on parole on June 22, 2015. 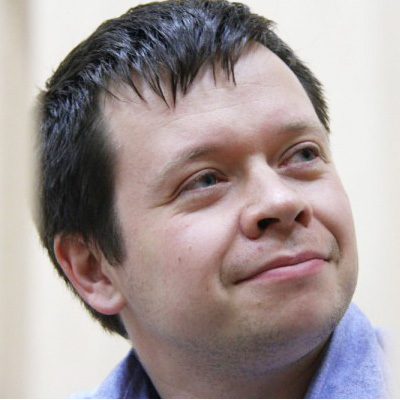 (14) Mikhail Kosenko was arrested on June 8, 2012. He was charged under 2.212 (“mass riots”) and 2.318 (“the use of violence dangerous to life or health, against a representative of authorities”) of the Criminal Code. On March 25, 2013 he was declared insane and sent for compulsory treatment in psychiatric hospital №5 in the village of Troitsko. He was released on July 11, 2014. He is now disabled. 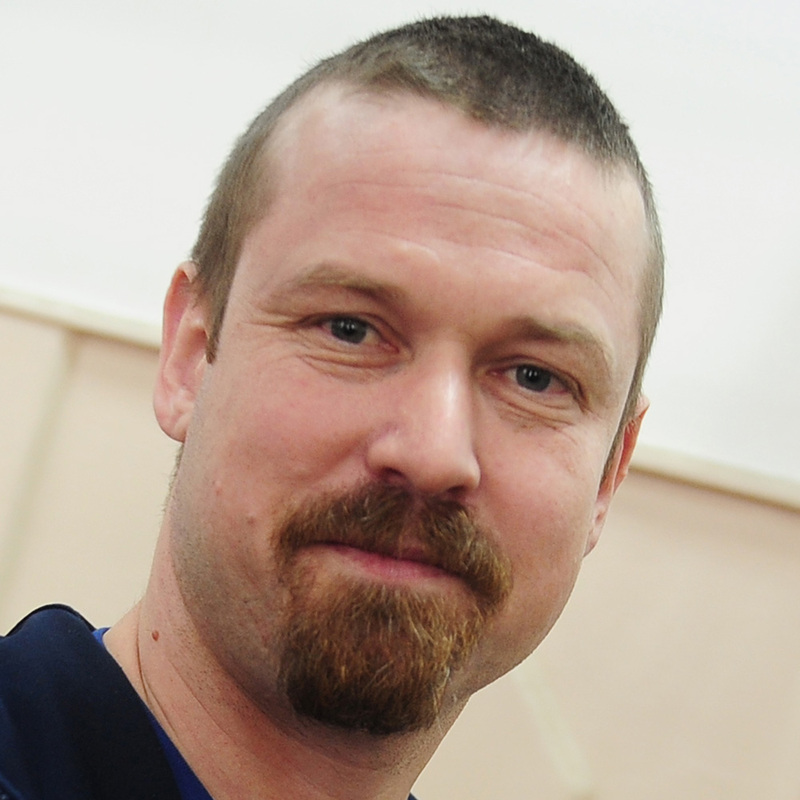 (15) Konstantin Lebedev was arrested on October 18, 2012. He was charged under 1.30 (“preparation of a crime”) and Part. 1, Art. 212 (“organizing mass disorder”) of the Criminal Code. On May 25, 2013, he was sentenced to 2 years and 6 months in a penal colony. 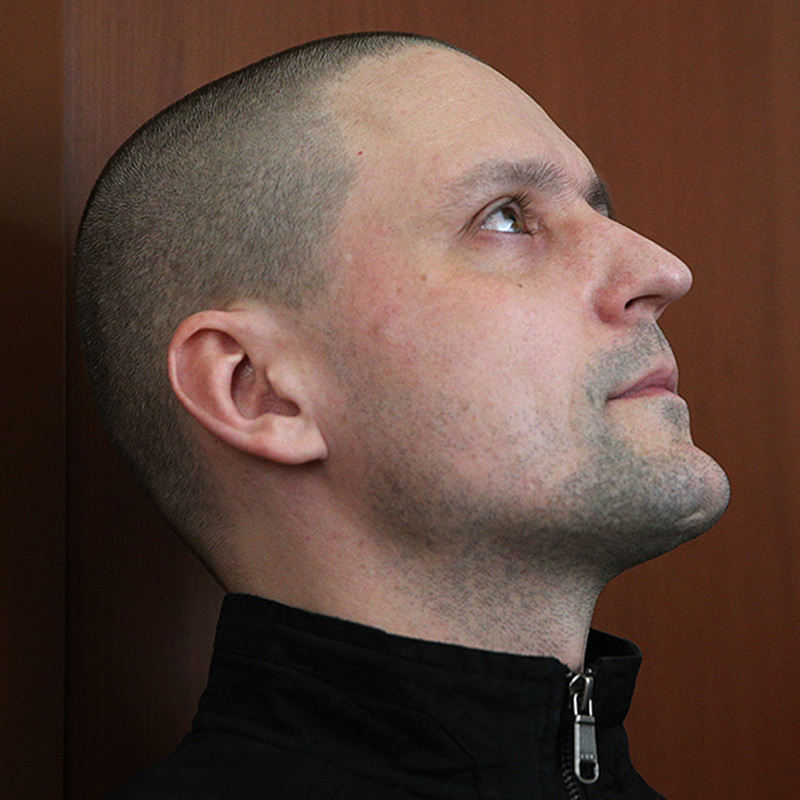 He served his sentence in SIZO-2 Lefortovo. He was released from prison on May 6, 2014. 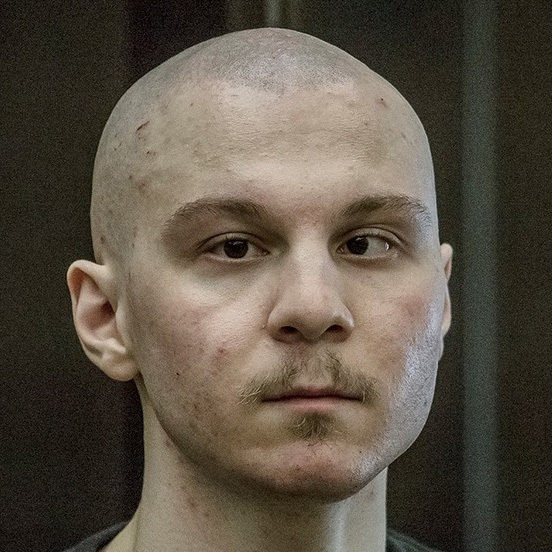 (16) Aleksandr Margolin was arrested on February 20, 2013 and charged under 2.212 (“mass riots”), and 1.318 (“the use of violence against a government representative”) of the Criminal Code. He was sentenced on August 18, 2014 to 3 years and 6 months. He served his sentence in the Ryazan region and was released on parole on February 9, 2016. (17) Alex Polihovich was arrested on July 26, 2012. He was charged under 2.212 (“mass riots”), and 1.318 (“the use of violence against a government representative”) of the Criminal Code. On February 24, 2014, was sentenced to 3 years and 6 months. He served his sentence in the Penal Colony-6 Ryazan region. He was released on parole on October 30, 2015. 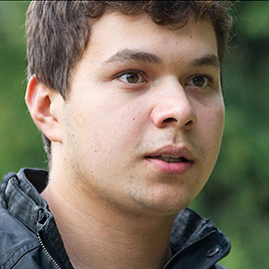 (18) Denis Lutskevich was arrested June 9, 2012. He was charged under 2.212 (“mass riots”) and 1.318 (“use of violence against a representative of the authorities”) of Criminal Code. He was sentenced on February 24 to 3 years and 6 months in a penal colony. He served his time in IR-2, in Tula Region. He was released in December 2015 after serving his sentence. 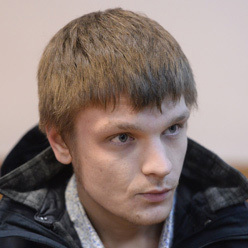 (19) Artyom Savelyev was arrested on June 9, 2012 and charged under 2.212 (“mass riots”) and 1.318 (“the use of violence against a government representative”) of the Criminal Code. On February 24, was sentenced to 2 years and 7 months in a penal colony. 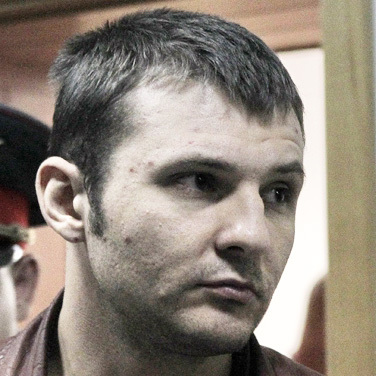 He served his sentence in the IR-6 Ryazan region. Released on December 31, 2014. 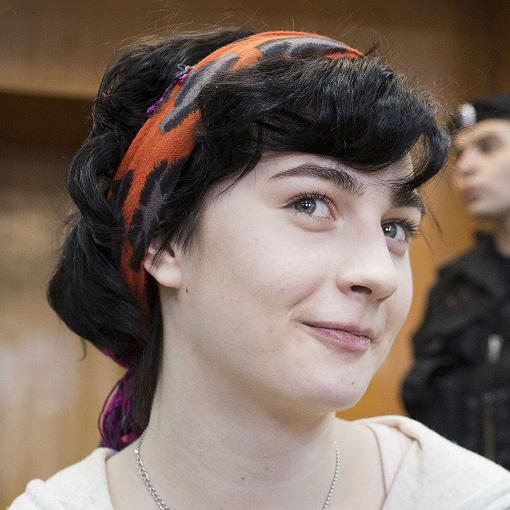 (20) Elena Kokhtareva was charged under Art. 2.212 (“mass riots”) and Art. 1.318 (“the use of violence against a government representative”) of the Criminal Code on March 25, 2013. She was unable to leave the country and remained a suspect. On August 18, 2014 she received a suspended sentence of 3 years and 3 months. 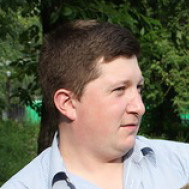 (21) Alexander Dukhanina (Naumov) was arrested on May 27, 2012 and was under house arrest. She was charged under 2.212 (“mass riots”) and Art. 1 .318 “the use of violence against a government representative”) of the Criminal Code. On February 24, 2014 received a suspended sentence of 3 years and 3 months. (22) Natalia Pelevine is a suspect under Art. 1.212 (“preparation for the organization of mass riots”) of the Criminal Code. She cannot leave the country. 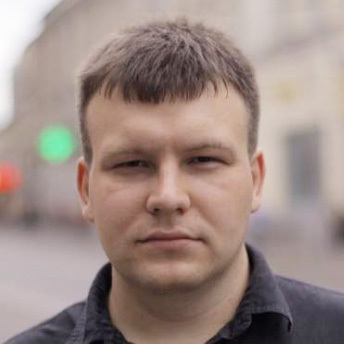 (23) Vladimir Akimenkov was arrested on July 10, 2012 and charged under Art. 2.212 (“mass riots”) of the Criminal Code. He was released on December 19, 2013 under an amnesty deal. He was jailed in SIZO-5 and in prison hospital “Sailor’s Quietude”. He suffers from congenital diseases of the eye. 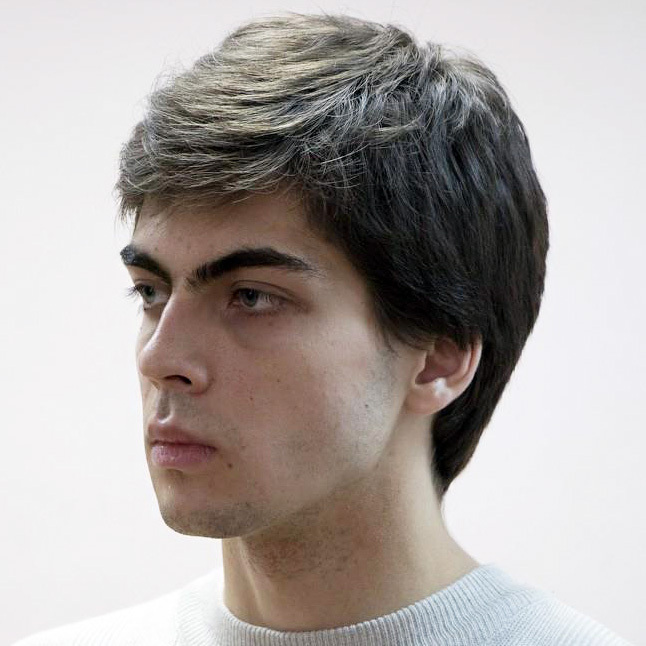 (24) Nikolai Kavkazky was arrested on June 25, 2012, charged under 2.212 (“mass riots”) of the Criminal Code. On he was August 2, 2013 transferred to house arrest. He was jailed in “Sailor’s Silence” and “Butyrka.” On December 19, 2013 he was released under an amnesty deal. (25) Dmitry Altaychinov was not arrested but he was charged under 2.212 of the Criminal Code (“mass riots”). 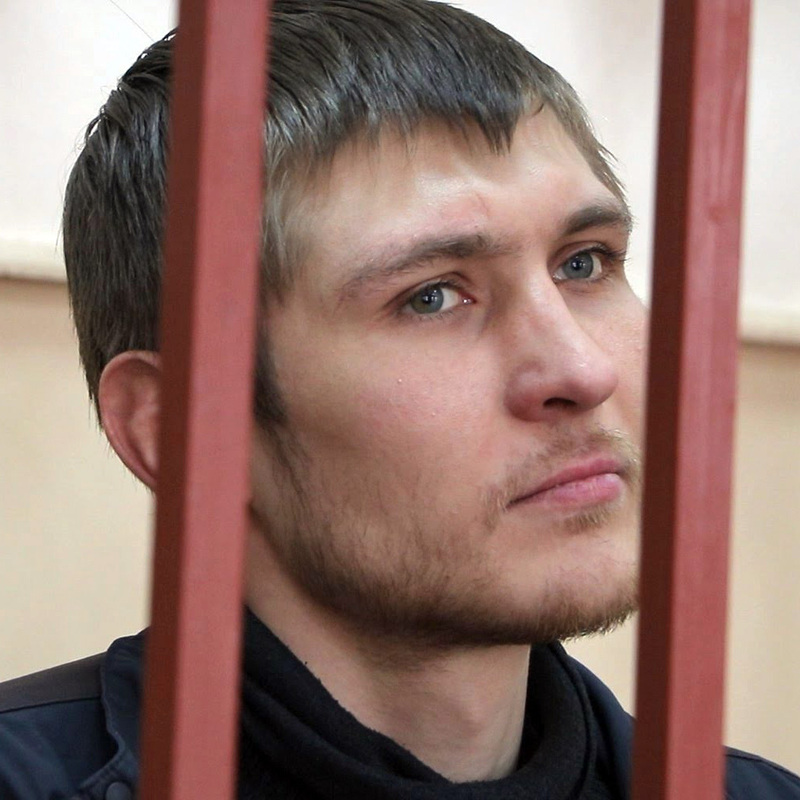 On December 23, 2013, the General Prosecutor’s Office sent to the court the criminal case against Dmitry; less than a month later on January 16, 2014, criminal proceedings were terminated and he received amnesty. 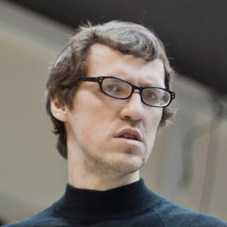 (26) Oleg Arkhipenkov was arrested on 10 June 2012 and charged under Art. 2.212 of the Criminal Code (“mass riots”). 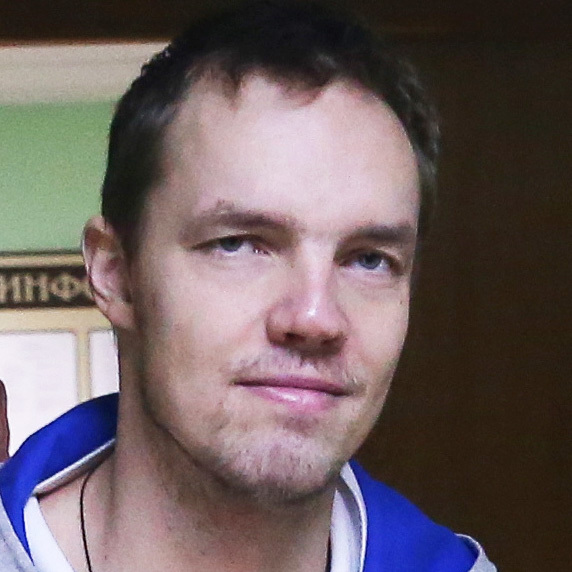 After two months in jail “Butyrka” he was released on bail. He was granted amnesty on 17 February 2014. 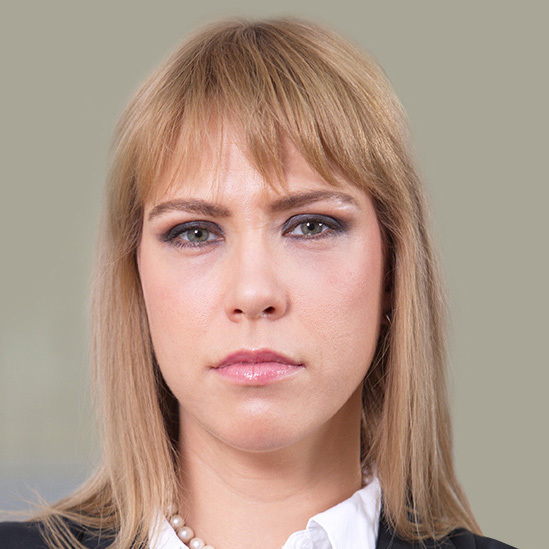 (27) Maria Baronova was charged on June 21, 2012 under Art. 3.212 (“incitement to mass disorder”) of the Criminal Code. Her criminal prosecution was terminated when she received amnesty on December 19, 2013. 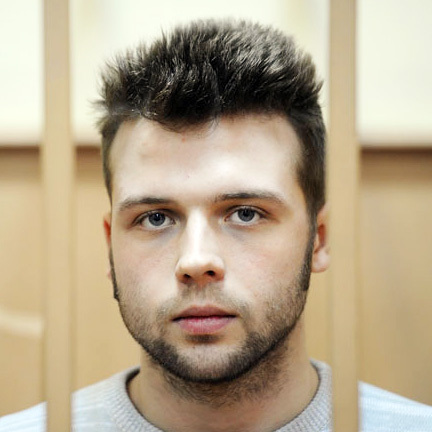 (28) Alexander Kamensky was arrested on June 10, 2012 and 10 days later he was released on bail. On January 3, 2014, Alexander was charged under Art. 2.212 (“mass riots”) of the Criminal Code, after which he received a pardon. (29) Fedor Bach was arrested on June 10, 2012 and charged under 2.212 (“mass riots”) of the Criminal Code. The spent five months before being released on bail. He was granted amnesty on 17 January 2014. 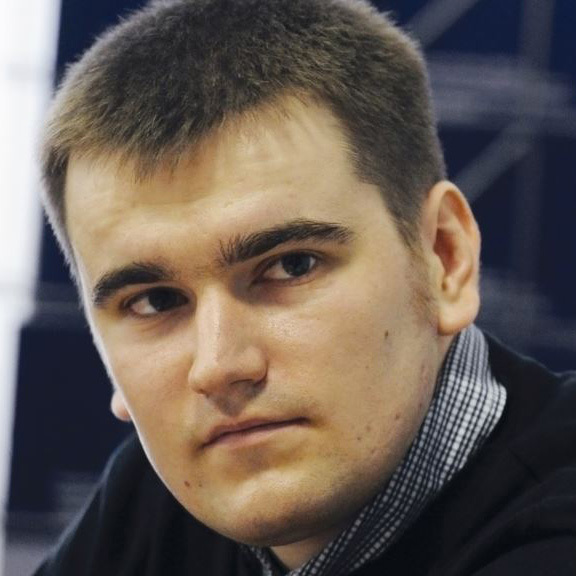 (30) Leonid Kovyazin was arrested in Kyiv on September 5, 2012, and then transferred to Moscow. He was in “The Bear” prison charged under Art. 2.212 (“mass riots”) of the Criminal Code. He was released in an amnesty deal in December 19, 2013. 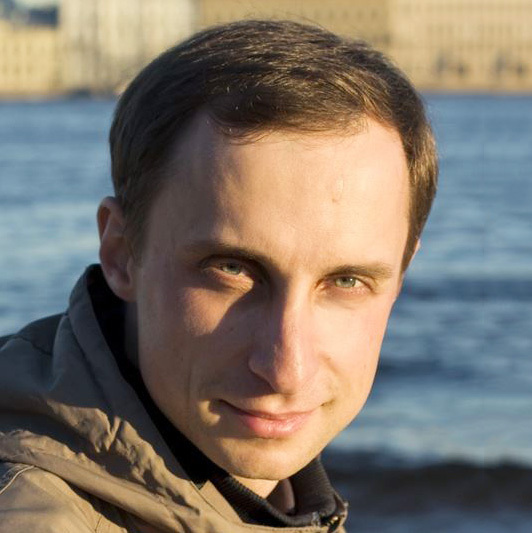 (31) Oleg Melnikov was arrested on June 3, 2012 and released on bail the same day. He was charged under 2.212 (“mass riots”) of the Criminal Code. On June 26 of the same year he was granted amnesty. 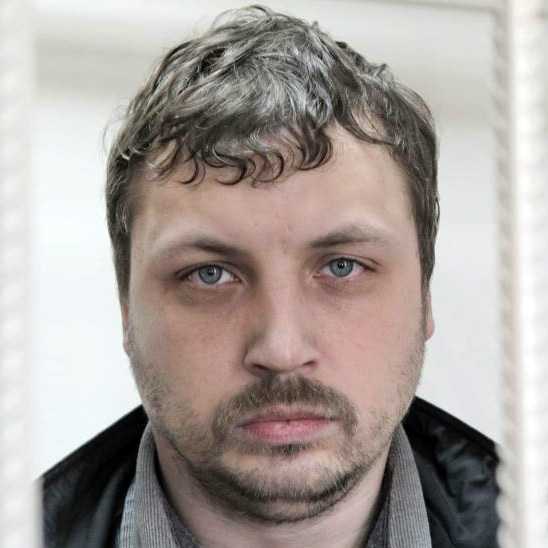 (32) Dmitry Rukavishnikov was arrested on April 2, 2013. He was in “Vodnik” prison charged under 2.212 (“mass riots”) of the Criminal Code. He was granted amnesty on 25 December 2013. (33) Anastasia Rybachenko was put on a federal wanted list on September 11, 2012. She was charged under 2.212 (“mass riots”) of the Criminal Code. She received amnesty on January 10, 2014. (34) Richard Sobolev was arrested on June 10, 2012. He was charged under 2.212 (“mass riots”) and 1.318 (“the use of violence against a government representative”) of the Criminal Code. He was in SIZO-5 prison. On August 9 he was released on bail. He was granted amnesty on 17 February 2014. 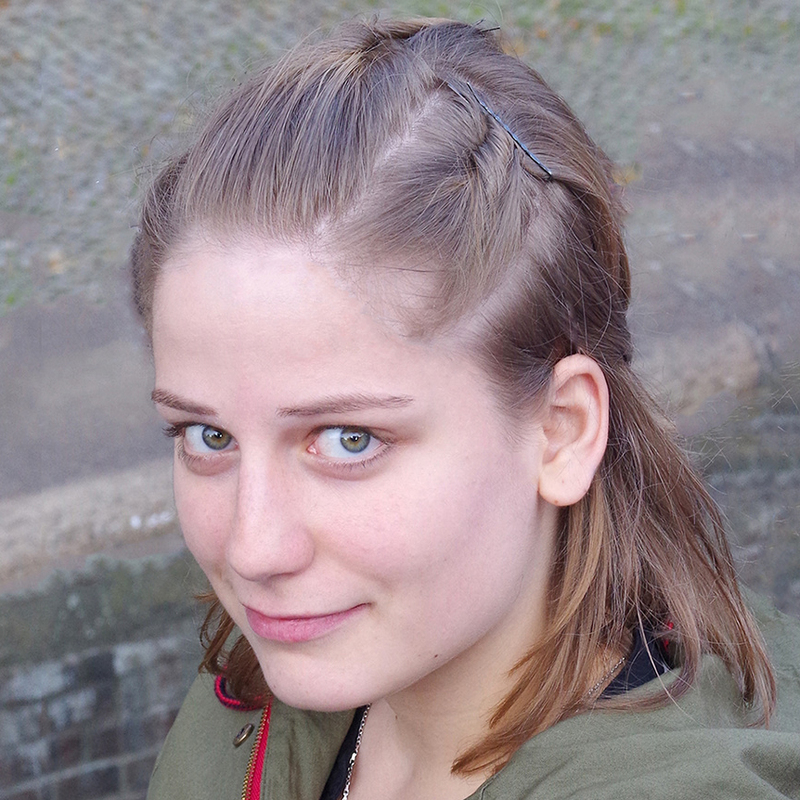 (35) Polina Strongina was arrested March 6, 2014 and released on bail. She was charged under Article 2.212 (“mass riots”) of the Criminal Code. She was granted amnesty on 24 June 2014.